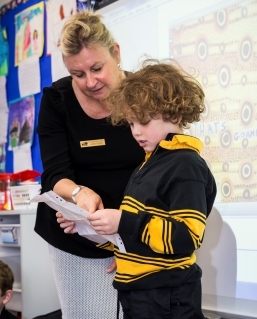 Each of your professional learning activities must be linked to at least one of the Australian Professional Standards for Teachers (APST). While you are encouraged to seek out opportunities linked to a range of the APST it is not compulsory to cover all 7 APST across your 60 hours of professional learning. The APST describe what teachers should know and be able to do. You need to be mindful that professional learning is not professional practice, and you should not include your work as professional learning. You will need to briefly describe, in your own words, how you believe each learning activity you have recorded could be linked to one or more of the APST. This description should clearly demonstrate to a reader how the activity was a meaningful learning opportunity that supports your professional growth as a teacher in the selected APST. The individual Focus Area Descriptors under each of the APST may help you to work out where a learning activity best fits. Do not list the focus areas in your summary record. For recording purposes you should select only the most relevant APST as this will assist you to briefly explain the connection in your own words. The example records below are for illustration purposes only and do not reflect the real names of presenters/authors. Evidence held: Certificate, handouts with my own notes. How does the learning connect to the Standards? This workshop increased my awareness of the factors that influence students’ wellbeing and how this can affect their engagement at school. I learned strategies that will help me foster a more supportive learning environment that promotes resilience, confidence, and healthy relationships. This training refreshed my knowledge so that I can effectively care for children in need of first aid. Title and type of professional learning: Developing a Play Curriculum – module as part of a degree course. Evidence held: Annotated lecture notes in learning journal, unofficial academic transcript. This topic unit developed my understanding of the importance of play in the early learning environment by critically analysing and evaluating play programs and research. Title and type of professional learning: Behaviour Management Strategies – series of workshops over 4 weeks. Evidence held: Certificate and journal notes. The course supports teachers in working with, and meeting the needs of, diverse students in the learning environment. Practical strategies to maintain safe, orderly and inclusive environments through developing understanding of causes, triggers of complex behaviours backed up by research, and preventative strategies. Title and type of professional learning: Responding to Abuse and Neglect: Education and Care update. This training assisted me in understanding my professional and legal responsibilities as a mandated notifier, and in supporting children's safety and wellbeing in my learning environment. Title and type of professional learning: Webinar - Assessment and Reporting in Early Childhood - Presenter, Karyl Collins. Evidence held: Receipt, my own notes. The webinar included useful discussions of techniques and strategies to use in assessing and reporting on children's learning in the pre-writing stage. Title and type of professional learning: Supervising Pre-Service Teaching - Online Modules. Evidence held: Certificate, my own notes. This interactive and self-directed online professional learning program enhanced my knowledge, skills and confidence to effectively supervise a pre-service teacher who was coming into my classroom. 7. Engage professionally with colleague, parents/carers and the community. Title and type of professional learning: Reading – Emotional Intelligence by Roger West. Evidence held: My notes and reflections from the reading over several nights. The reading of this text and the discussion that flowed from this resource, at both a personal level and from a management level, deepened my understanding of building essential relationship strategies in my leadership role. Title and type of professional learning: Positive Psychology Journals – various authors. Evidence held: Notes and summary comments recorded in learning log. I learnt about positive psychology and how I can extend this practice to my classroom, to enhance the well-being of students. Title and type of professional learning: Local Area Mathematics Teachers Partnership session. Evidence held: My own notes, attendance record. During this session one of the teachers in the partnership shared a range of games and apps for developing students’ understanding of probability and statistics and explained how they were effectively integrated into a teaching program. Title and type of professional learning: Cluster Group Project – Investigating the Effectiveness of iPad programs. This project researched the use of iPads, programs delivered by sites, (i.e. bring your own device/school purchased) applications used as learning resources, costs, significant and relevant other associated issues, to inform best practice across a cluster of schools/sites.